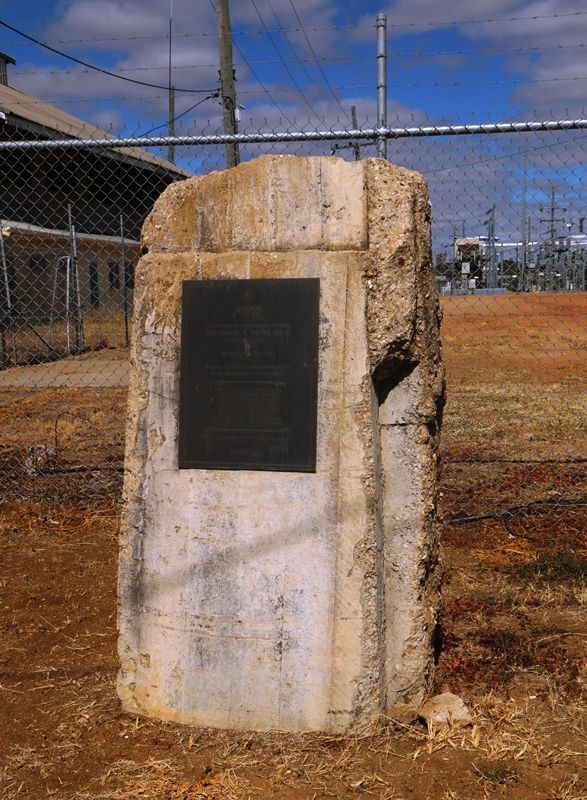 A monument commemorates 50 years of electricity supply to Hughden. The Minister for Mines, Energy & Police the Hon. R. E. Camm, M.L.A. unveiled this plaque on Thursday 27th April, 1978 to mark the official commissioning of the 66kV interconnector with the coast. 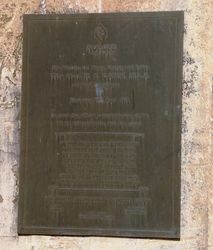 The plaque also commemorates 50 years progress in the electricity supply industry in Hughenden. The concrete slab was part of the base of one of the original wood-burning gas producers in the first Hughenden power station, built in 1927. The present station, built in 1963, went on standby in April 1978 when the mid-western supply network was connected to the Queensland State Grid.